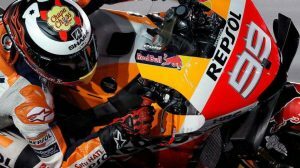 Jorge Lorenzo will not continue with Ducati from next December 31. The Mallorcan pilot confirmed today in Mugello after winning his first victory at the controls of his Ducati, a triumph that Jorge has achieved after the Italian factory supplied him with the pieces that, according to Lorenzo, the Mallorcan had been claiming since the year past. 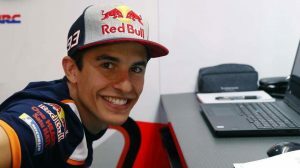 The pieces referred by Lorenzo are, on the one hand, an ‘update’ that the Mallorcan pilot received at the Jerez meeting to try to soften the behavior of the GP18 engine, some changes that allowed Jorge to ride in the group of head in the Great Prize of Spain until the multiple falls that left him out of the race, with Dani Pedrosa and also to Dovizioso. The second improvement is related to the new deposit that the #99 tested in the Montmeló test with very good sensations, an addition that improved leg support in the tank and that facilitated the maneuvers of braking and turning, in which Le Mans could not fight for the podium when he was left without strength in his arms. Precisely, Randy Mamola already advanced the divorce between Ducati and Lorenzo after securing in Movistar MotoGP that Danilo Petrucci signed his contract as factory pilot last night: “I heard that Petrucci signed yesterday with Ducati for next year, is a motivation for Lorenzo to win in Barcelona, because he is fast, “said the former US rider. Interestingly, Lorenzo’s farewell contradicts the words of Gigi Dall’Igna, director of Ducati Corse, which just a few minutes ago left open the door to a possible renovation of the Spanish: “That is something that we will see over the next few days, I think the doors are still a little open, so we must all think together what can be done,” said Gigi Movistar MotoGP, ensuring that “you can never say” to the question of whether Jorge could still continue with Ducati. 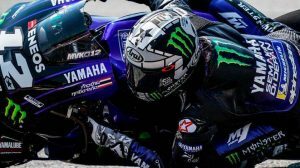 Now that Lorenzo has confirmed his departure from Ducati, everything indicates that the three-time MotoGP champion will climb in 2019 to a factory Yamaha within a satellite team with the backing of Petronas.